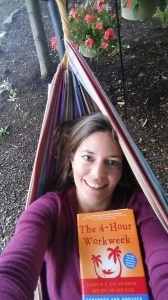 While an actual 4-hour workweek still remains elusive, Timothy Ferriss’ tome, “The 4-Hour Workweek,” did have a lasting impact on my life. Subtitled, “Escape 9-5, Live Anywhere and Join the New Rich,” this memoir-slash-self-help book will force you to rethink the structure of your life. It’s packed full of tips and tricks for optimizing both your work and personal lives. But Tim’s personal story may be the most riveting part. By leveraging virtual assistants, personal out-sourcing and lots of optimization shortcuts, he completely re-designed his lifestyle. And in the process, he grew his income ten fold, reduced his weekly workload from 80 hours to just 4, and most importantly, created more time for the things that mattered most. A recommended read for dreamers, optimization freaks, and anyone looking for better work/life balance. Read this book and afterward, I promise you will be spending less time at your desk and more time in your hammock. This article originally was published on centricconsulting.com.